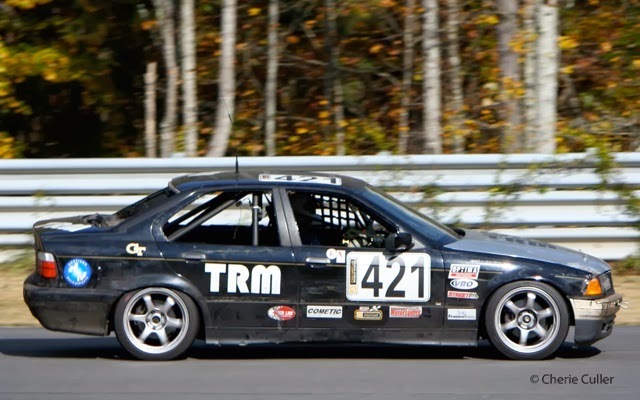 What an eventful weekend for ChumpCar at Atlanta Motorsports Park. The TRM team SFR car that David Harrison was in finished a very respectable 3rd. This after running in first for long portions of the day, only to be caught out with pit strategy. Sunday's race was far more exciting. SFR led most of the race only falling back as low as 6th during final pit, and were leading until a major shunt in the final moments.This unfortunate moment took SFR and the P2 car out. The race finished under yellow and SFR fell back to 6th place. 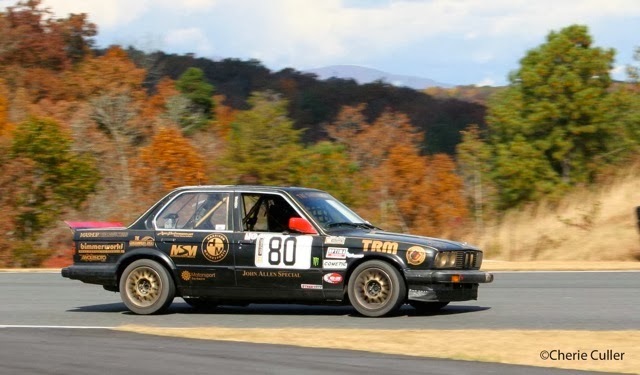 The Harrison Motorsports sponsored JAS E30 finished with a best ever 7th place in the Saturday opener. The JAS managed to finished the Sunday race after surviving a huge early morning shunt and finished 25th. All in all it was a great weekend. Thanks to those who came out to support us.